Stay in Alsace's best hotels! Located in Strasbourg, in a building dating from 2018, Hôtel ORIGAMI offers a bar and guestrooms with free WiFi. Very clean, comfortable and modern. It is conveniently located 2 minutes front the tramway which will bring you in the historic center in 10 minutes. You can park at the tramway parking structure, it's about 15 euros à night. Colmar Hotel is located in Colmar, 0.6 mi from House of the Heads. Colmar Christmas Market - Place des Dominicains is 0.7 mi away. Great breakfast. Good parking and free space. Geat price value. Free bottle of water in the room and wine as a gift at check out. Clean rooms and public area. The room is well isolated and quiet in the night time. Friendly staff. Only 10-15minutes walk to the old twon center and the train station is just next to the hotel. This 4-star hotel is set in a renovated 16th-century building in central Strasbourg. It offers a courtyard, free WiFi and air-conditioned guest rooms with Louis XV-style furniture and satellite TV. Excellent in every way! We would return in a heartbeat. The breakfast was probably the best we’ve ever had and we travel a lot! Hôtel Roi Soleil Prestige Strasbourg in Schiltigheim features 4-star accommodations with a garden, a terrace and a shared lounge. When u first see the hotel from far u don’t feel it’s fancy but once inside it’s so clean and the stuff is amazing !! Just 2 minutes away from a bus stop that ll drop u in 10 Minutes in the city center.. it’s a great value for money. And the breakfast is good too. Located 1.2 miles from Saint-Martin Collegiate Church, Novotel Suites Colmar Centre in Colmar offers a spa & wellness center. With a terrace, the 4-star hotel has air-conditioned rooms with free WiFi.... Service is top notch. All of the staffs are friendly and helpful. Offering free WiFi, 5 Terres Hôtel & Spa Barr - MGallery by Sofitel is located in Barr. This 4-star hotel has air-conditioned rooms with a private bathroom. Absolutely loved this hotel. Would come back to the area just to stay here. Located on the Alsace Wine Route, Hotel Kieffer offers rooms with free Wi-Fi access and a flat-screen TV. It is possible to arrange wine-tasting with the owner. Everything, staffs are super friendly, hotel room is nice, clean good view. Only 6.6 mi from Château du Haut-Koenigsbourg in Kintzheim, this hotel is 1.2 mi from the Alsace Wine Trail. Good clean lodging, great variety at breakfast, friendly staff. Hotel Le Colombier Suites is located in the heart of Colmar in the La Petite Venice district. It offers soundproofed rooms and suites with views over the village streets or garden. The room no. 62 is like a private suite with no stairs. This hotel de charme offers en suite accommodations within the Ballons des Vosges Regional Park. It is located in the scenic village of Thannenkirch, in the Alsace region. Feels like at home, thank you very much for creating this atmosphere. This hotel is located in the west of the Alsatian town of Seltz, just 0.6 mi from the A35 motorway, exit 57. It offers rooms and studios with satellite TV. Hotel des Bois is located in France, only a few Km from Baden-Baden, Strasbourg, Rastatt, Karlsruhe. Hotel Spa Restaurant Domaine du Moulin is located in Ensisheim, 12 mi north of Mulhouse. It has a spa with an indoor swimming pool, steam bath and an outdoor hot tub set in a private garden. Lovely hotel - location, comfort, excellent restaurant. Located 10 minutes by car, tram or bicycle from the center of Strasbourg, Hotel L'Aigle d'Or offers a warm and friendly welcome in a cozy and traditional setting. As a transit stop over proximity to autoroute and flexibility of check was fantastic. Boasting an ideal location on the Wine Route, Hotel Le Mittelwihr offers a warm and friendly welcome in a building with a stunning design surrounded by a natural environment. Great hotel. Staff friendly, helpful and professional. Hotel Restaurant Le Cleebourg is offering accommodations in Rott. Among the various facilities are a garden, a terrace, as well as a bar. The hotel has a playground and a sauna. Located in Illhaeusern, Hotel des Berges provides an outdoor swimming pool and spa and wellness center. This 5-star hotel features free WiFi and a garden. Guests can use a terrace. This is a luxury hotel that seems to get everything right. The Hôtel Winzenberg is located in the Alsatian wine village of Blienschwiller. Each guest room has a private bathroom and a flat-screen TV. There was a kettle in the room so we could make our own tea! WIN! This family-run hotel is located high in the mountains, in Saint Amarin, 19 mi from Mulhouse and 22 mi from La Bresse. It offers private parking and rooms with TVs and private bathrooms. Had stayed here many years ago and had always wanted to return and we weren't disappointed. 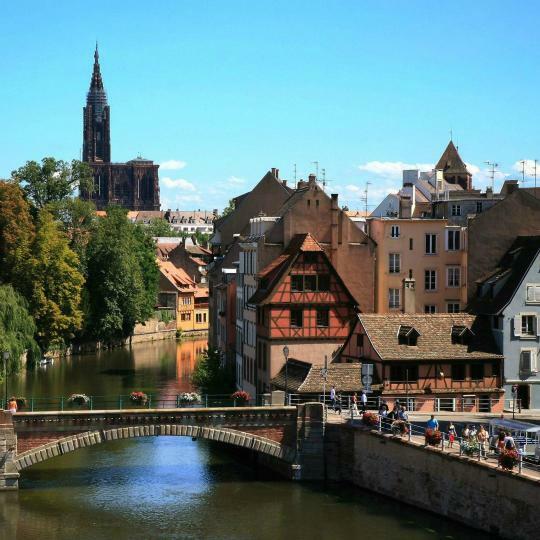 Strasbourg will charm you with its half-timbered houses, canals and bridges. This romantic city also houses the European Parliament. 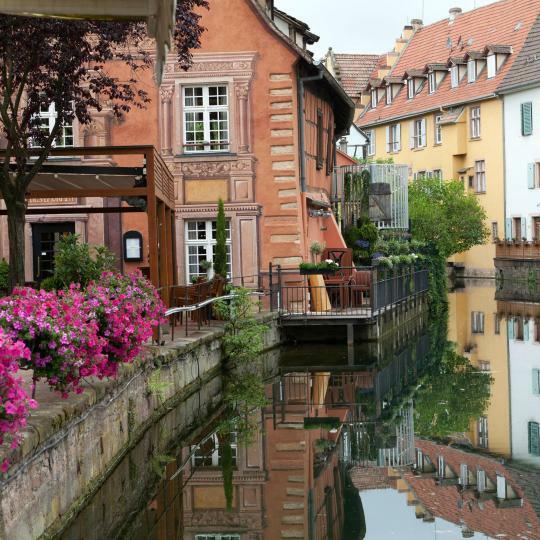 Considered the capital of the Alsatian wine region, Colmar is built on the Lauch River, earning the name 'Little Venice'. Admire Mulhouse’s medieval houses with colourful façades, the 14th-century stained glass windows of Saint-Etienne Church and the Cité de l’Automobile. This small town is famous for producing beer and wine. Admire the stunning panoramic view from nearby Mont Sainte-Odile. 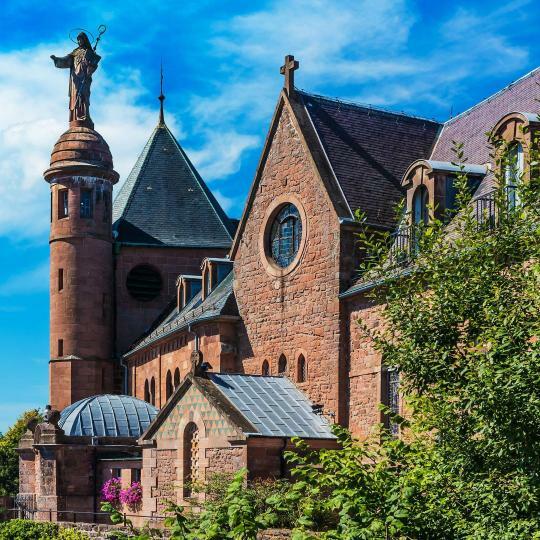 Follow this route from Thann to Malenheim to discover the medieval chateaux and villages, along with its notable vineyards. 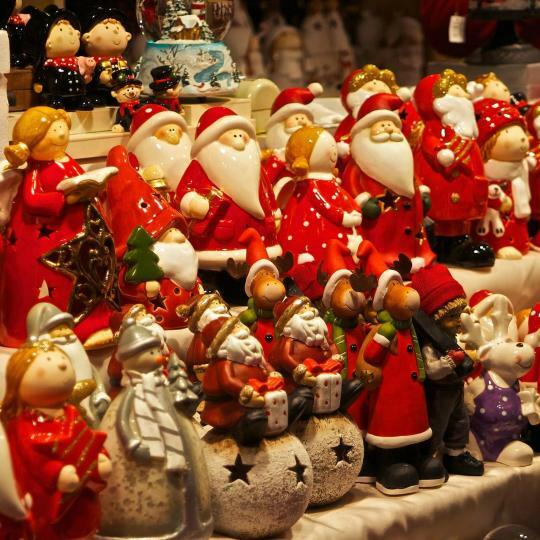 Absorb the festive spirit strolling around the Alsatian Christmas markets, where you will find handcrafted objects, regional specialities and mulled wine. 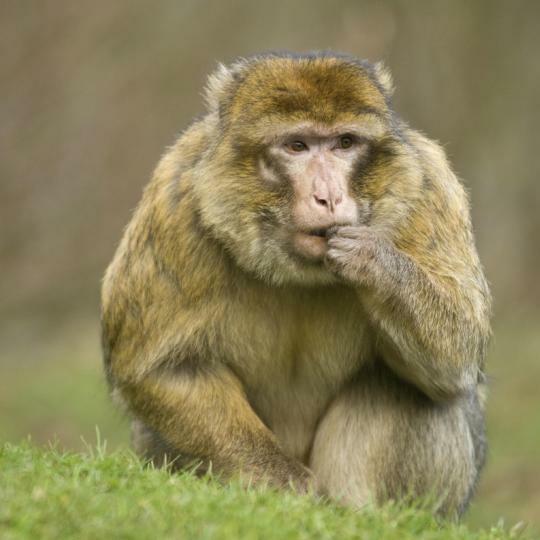 Come meet more than 200 macaque monkeys living free in 60 acres of beautiful forest. 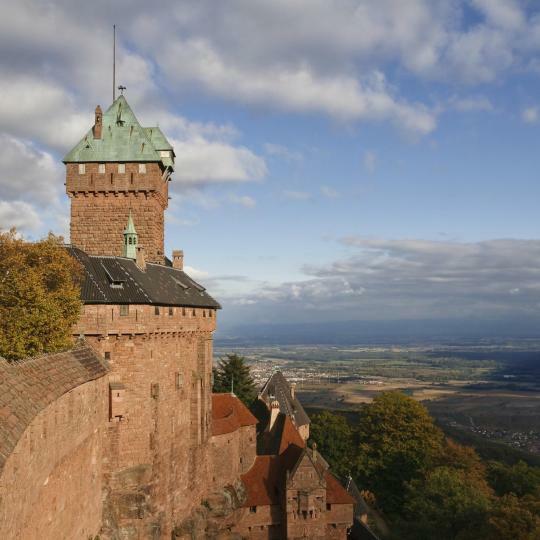 Towering over Orschwiller, on the Alsace Wine Route, this medieval castle has been magnificently restored. 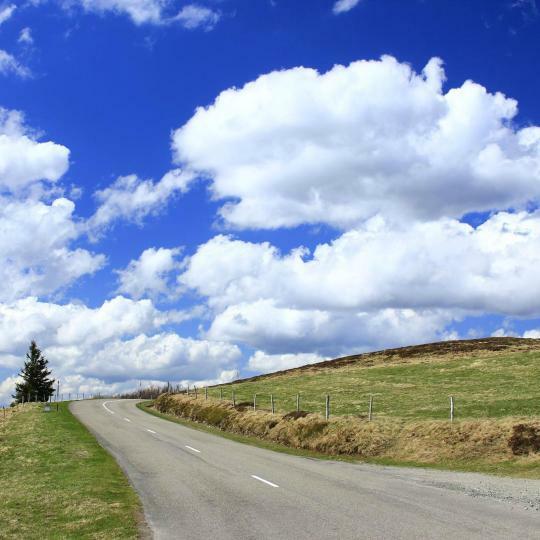 Follow the Crest Road in the Ballons des Vosges Regional Nature Park to admire the idyllic landscapes and breathtaking views. 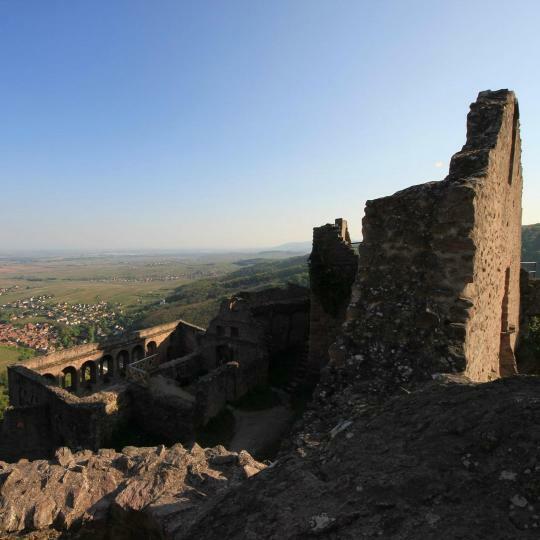 Take on a 3-hour hike starting from Ribeauvillé to discover the ruins of three 12th-century hilltop castles. A beautiful walk around the city can delight the eyes, the spirit and the stomach, as the food and wine in alsace is simply amazing. Watch a light show on the Cathedral, visit the historical center, leave some time to visit the art museum too. Strasbourg is a great introduction to Alsace Lorraine. Strasbourg is a great introduction to Alsace Lorraine. It could pass for a German city, but the French wines, cuisine, coffee, pastries, and street signs convince visitors that they are in France. The city provides a great place to walk, walk along the waters, and enjoy the local restaurants. It serves as a great base for visiting Colmar, Germany, Nancy, and the Alsace Wine Route towns (Obernai, Selestat, ...). The city has a great airport and solid SNCF connections to the rest of France. Live like a fairy tale in alsace. Live like a fairy tale in alsace. I think it's the most beautiful town in Alsace. There are many cute shops and restaurants to hop around. 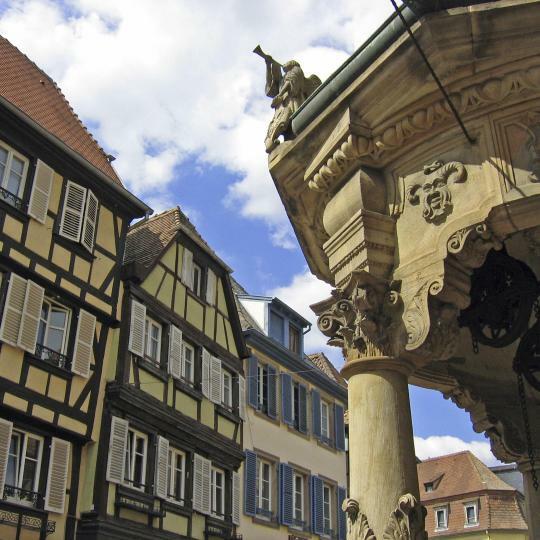 If you have a tight schedule in Alsace, pick Colmar to stay. It's cozy and lovely and quite lively than any other villages. I visited 'Avenue d'Alsce' shop, and falled for the storytelling of all the motifs in Alscace's designs. We love to spend time here to chillax. Hard to forget somewhere so magical -a candy colored houses ,flowers spilling out from literally everywhere ,delicious cuisine -the most idyllic and idiosyncratic of regions in France -wherever you go in Alsace ,you won't ever regret . Nice little place in the middle of Strasbourg and Colmar. Nice little place in the middle of Strasbourg and Colmar. In the heart of Alsace, as a base to get around to visit anything you wanna see. The apartment was amazing. This is a beautiful medieval Alsace town. This is a beautiful medieval Alsace town. It is one of the loveliest villages in France and has received the "4 flower rating" for the past few years. A very walkable village with lovely half timbered houses all with eautiful flowers decorating their windows, quaint streets and churches with stork nests perched on top of the bell towers! For wine lovers the wine shops were well stocked and had some very nice wines. The restaurant and hotel where I stayed were right in the center of town and both were lovely. There is no train service so this village is off the main tourist wine route and is only visited through special tours or via car. Eguisheim is a true gem along the Alsace wine route and well worth visiting. I took the Colmar- The cultural heart of the Alsace tour by Blackforestandbeyond LTD and it was amazing got insight to all kinds of things that were not on the travel guide. This is a super cute apartment, really comfortable for a couple. Location is excellent - quiet small street with parking, just 2 minutes away on foot from the main street. The communication with the owner was perfect. Fully equipped kitchen allowed us to have a couple of meals at home. The view overlooking the vineyards was pure bless both in the morning and in the evening. We were having quite a chilly weather, so had to use the heating which was fast. Riquewihr has a perfect location for getting around Alsace. We arrived late in the evening when the reception was already closed, however the entry code and the room key were ready for us in advance on the reception table. The room is very clean and has renovated bathroom. The breakfast is very tasty and always fresh. The hotel staff is very friendly, I'd would say even just wonderful! Very good location - located on the Alsace Wine Route and close to main family attractions. A gorgeous hotel in a charming Alsace town. Staff was sweet, spoke very good English (which was very appreciated since my French was non existent). We were there during a hot streak, but the rooms all had fans which helped move the air and keep us comfortable. Breakfast was fine, but not a super great deal with a bakery close by. Bar downstairs was great for a later evening glass of Pinot Gris before bed. excellent location in a small village near Colmar, perfect base for exploring the Alsace area. A really good restaurant -- Auberge A l'Agneau Blanc just around the corner. Very comfortable and quiet well equipped apartment at an incredible bargain price. Thoughtful owner provided us an Alsancian cake for breakfast and also a bottle of white wine from his winery. Parking is super convenient. Great small 2-star hotel with the comfort of a 4-star hotel. 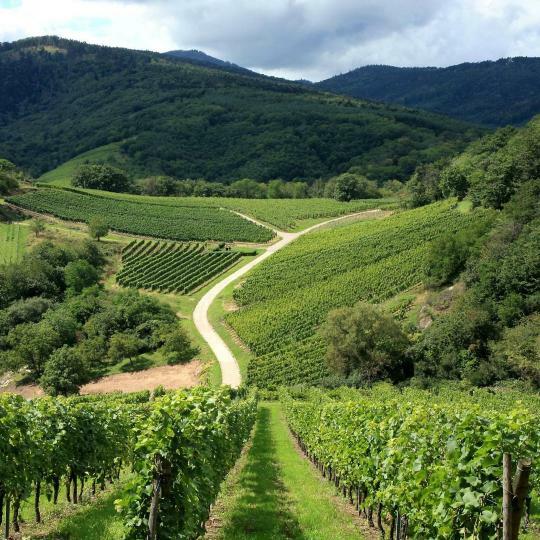 Perfect location for an enjoyable Alsace wine route excursion or just a lazy weekend enjoying the French countryside and wine tasting. Extremely friendly and helpful hotel staff. They will make you feel like part of the family. Cozy small hotel restaurant serving a limited French cuisine, but very good food. The location of the hotel was excellent: it was right at the heart of Obernai, which itself if a wonderful town in Alsace. The elderly cople running the establishment was very courteous and genuinely seemed to care about our enjoyment at the hotel. The building is gorgeous - very old, but the rooms are renovated and spacious. The breakfast was a delight! Lovely setting on a vineyard only a block or so to the village. Hotel owner is a lovely person. Breakfast was delicious and a nice variety in a beautiful glass windowed room by the vineyard. Eguisheim is a charming village. Not as busy or touristy as others in the Alsace area. We enjoyed watching the 5 stork nests in town perched high on the roof tops. This is the best and most valued hotel in 20 days travel in Germany area. I know this is Alsace, not Germany. Very clean, modern, comfortable. Marble bathroom, spacious room for 4, air conditioning. The hotel just opened in April, everything is so new. Front desk is very helpful and courteous. This is the best small hotel in Alsace. Excellent rooms, excellent service, superb kitchen. Love, love, love Hostellerie Schwendi. We've been several times, each time seems better than the last. Be sure and book your dinner table when you put in your reservation! Beautifully decorated and well appointed very comfortable apartment right in the centre of Colmar. Welcome bottle of Alsace wine was much appreciated. excellent location for the Alsace-wine area. very spacious apartment with everything you and more. very friendly and helpful owners. Everything exceeded expectations. Amazing location in best Alsace village. Apartment was comfortable and clean. Great Host. Very close to Little Venice. Authentic Alsace style apartment. Wonderful hotel..perfect location. Love this part of Alsace.